Sisters In Christ is a faithful group of fun loving Christian women of all ages who lift each other up and encourage one another! We like to refer to ourselves as the "SIC Chicks". The group was founded in 2010 and is still a thriving small group ministry today. We encourage all women of St. David's to come out to the meetings, even if you cannot attend every one. We would love to get to know you. While we always have fun in Christian love and fellowship, our group likes to reach out to our church and the community by completing service projects during the year, such as planting flowers around the church, baking cookies for our shut-ins, and adopting a family at Christmas. We also donate funds to various community fundraisers throughout the year. 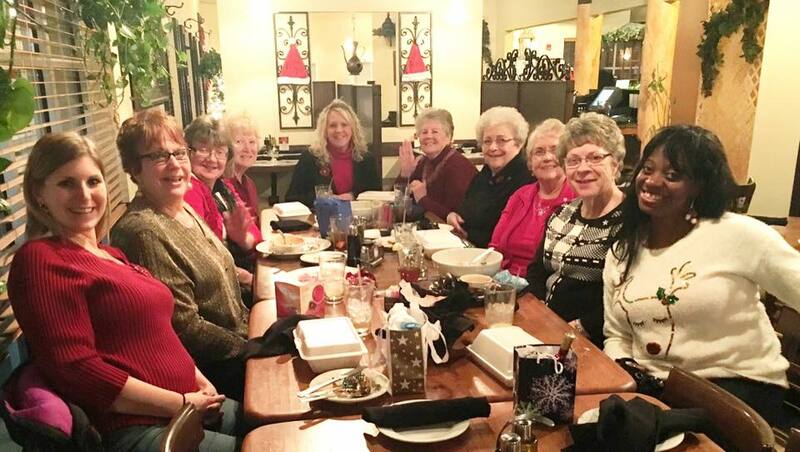 Some of our annual fellowship activities during the year include a Christmas Dinner and Gift Exchange, Ladies Tea, and Movie Night. We also hold a Church Soup Sale once per year to raise funds for our group activities. So now that you know about SIC, won't you join us? ​please feel free to e-mail Kelly Reynolds.